Learn Arabic and English alphabet, colours, words and animal names. 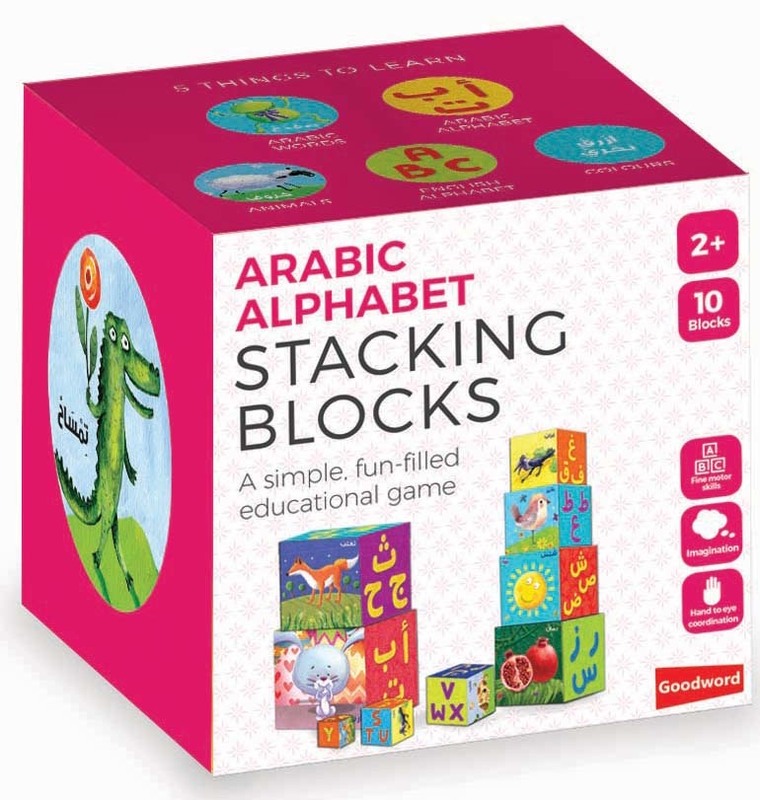 Arabic Alphabet Stacking Blocks is a beautifully illustrated game composed of 10 blocks. Each square block varies in size and can be placed on top of another block, thus, constructing a three feet tower and building confidence along with coordination and balance. After building the tower, your child can have the pleasure of knocking it down and to start all over again! The more fun your child has with stacking and sorting games, the more he'll want to do them. The blocks, made of sturdy cardboard, are child-friendly and will last for a long time. Indeed, it’s a fun way to learn Arabic and English alphabet and fill your child’s play time into an educational journey.